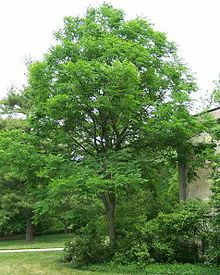 Kentucky Coffee Tree, Gymnocladus dioicus, is a large sized tree that grows up to 70’ tall and up to 50′ wide. 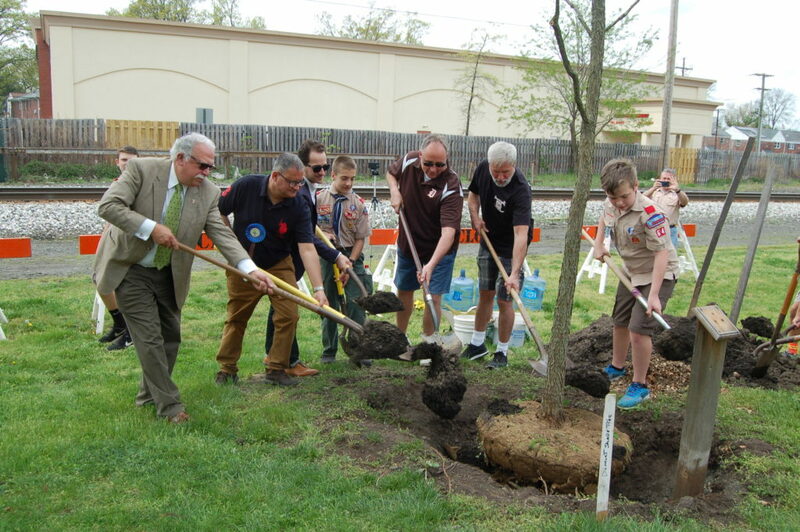 At the Dumont Shade Tree Arboretum, our young Kentucky Coffee Tree was planted on Dumont Arbor Day 4/29/2017. Look for it a little north of the Gazebo! Drought-resistant. Tolerant of pollution. Adaptable to a variety of soils. The tree’s picturesque profile stands out in all seasons and can be attributed to a unique growth habit of coarse, ascending branches that often form a narrow crown. It is widely used as an ornamental or street tree. 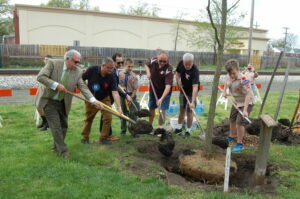 The Kentucky coffee tree is native to the central states of America from Pennsylvania to Nebraska and from Minnesota to Oklahoma. This tree gets its name because early Kentucky settlers noticed the resemblance of its seeds to coffee beans. In earlier times, its wood was used in the construction of railway sleeper cars. It grows in in acidic, alkaline, loamy, moist, rich, sandy, well-drained, wet and clay soils. While it tolerates wet soil, it has extreme drought tolerance. 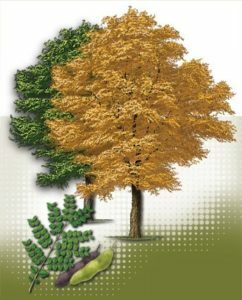 This pest free tree is an alternative to ash and elm where they have been ravaged by insects and disease. Produces pyramidal clusters of greenish-white flowers that bloom at the same time leaves are maturing (late May to early June). The flowers of the female trees have a rose-like fragrance. Features bipinnately compound leaves that can reach up 36″ in length and 24″ in width. Individual leaflets are only about 2″ long. Yields seed pods that are 5–10″ long and green in color, turning brown, that persist through the winter. In the fall, ripening pods contrast nicely with clear yellow fall foliage. Decorative clusters of the large pods rattling in the wind make for an exceptional winter ornamental. 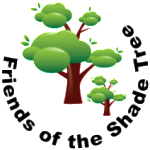 This tree is considered both a shade tree and an ornamental tree. It features a spreading canopy capable of blocking sunlight and adds visual interest and beauty to landscaping.